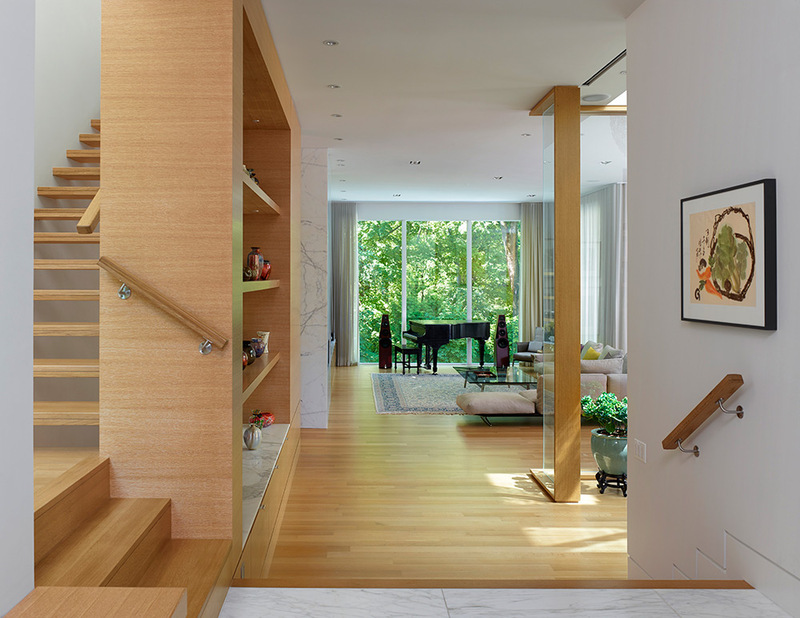 Two violinists approached us to design a new home to provide a warm and welcoming location where family, friends, and fellow musicians could assemble to have frequent small concerts in their home. Right from the beginning, individual inspirations were identified for the design of their home: A highly coveted pottery collection and a childhood reference to Palm Beach Florida Architecture. The design addresses the irregular lot shape that tapers out from the front to the back. One enters a mahogany clad door and side panel at the front façade. From there, a series of floor levels descend down toward the rear of the house, following the exterior topography. 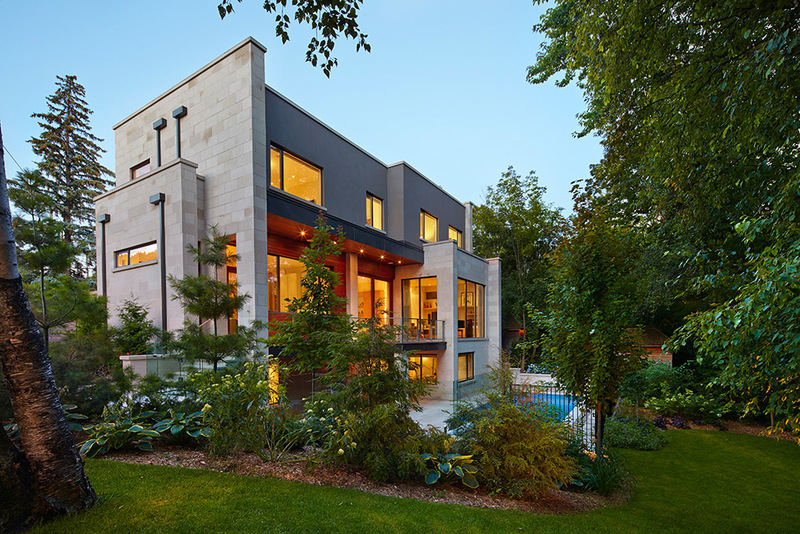 With each descent, the floor to ceiling height increases so that upon arrival in the multi-use family/performance area of the house, the ravine setting merges with the main spaces through full height panoramic windows. A grand piano appears to float in its exterior surroundings. Twelve foot sliding panels separate the family area from a two storey meeting room that connects to a private exterior court. The different ground floor levels are anchored together by a continuous pottery display wall, starting from the front entry and leading one’s eye to the rear performance space. 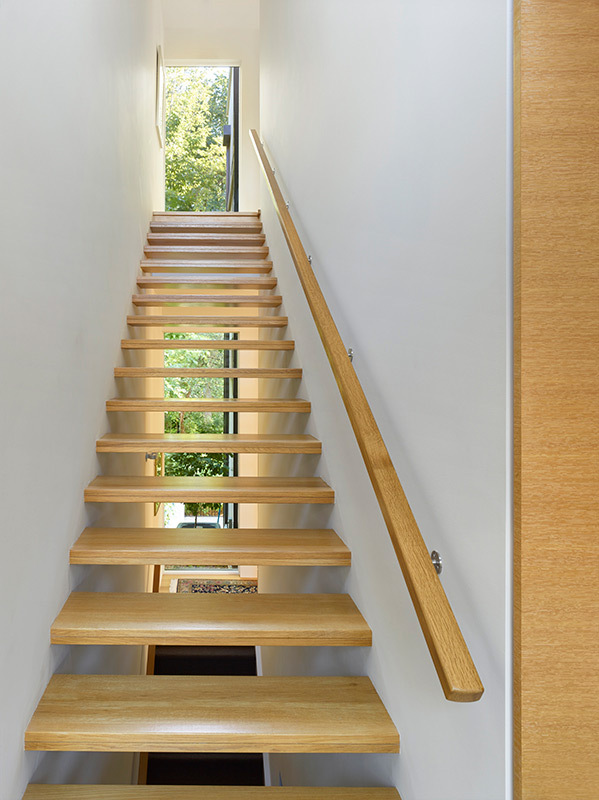 On the other side of this display element, one discovers an open riser stair, defining uninterrupted views through the property. 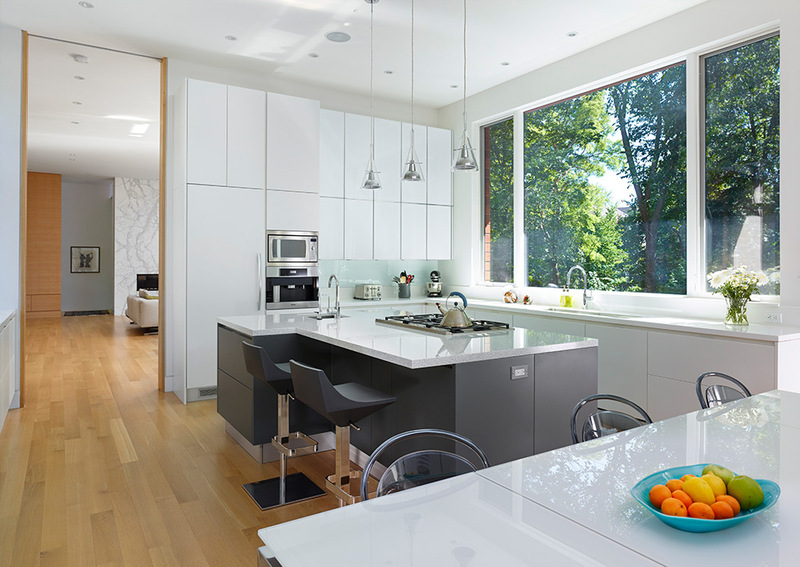 Exterior applications of Ipe, stucco and limestone are repeated and mixed together on the interior with white oak millwork, flooring and carrera marble accents. 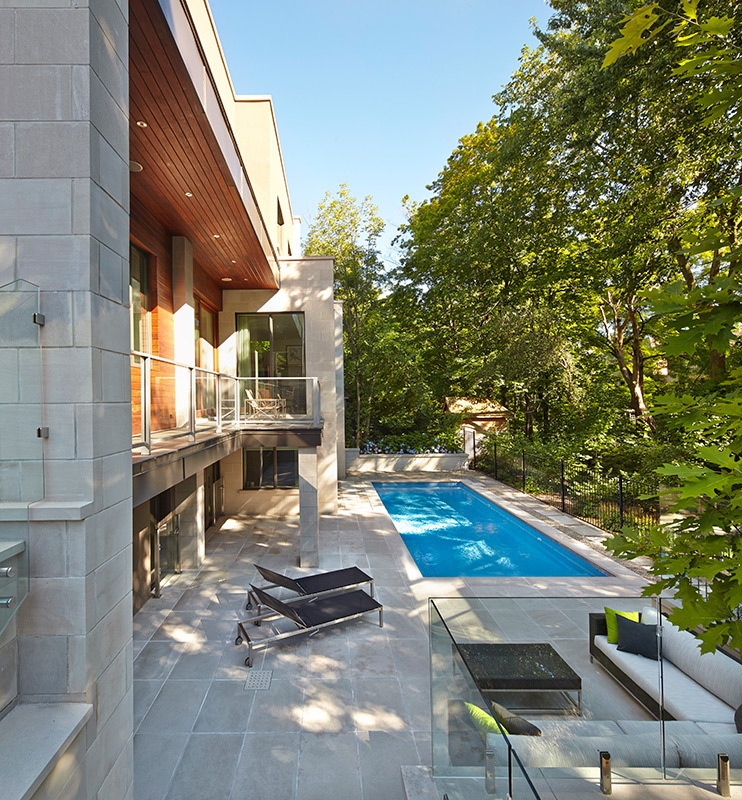 Guests and family also enjoy direct access from the basement recreation and spa area to a pool deck located in a country-like setting in North Toronto.